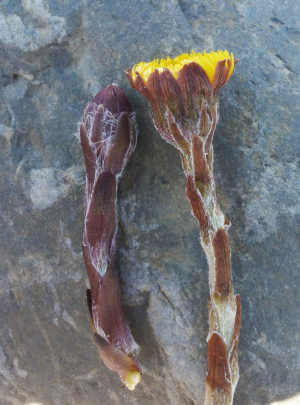 Observation - coltsfoot structure - UK and Ireland. Description: Peculiar structure, usually without leaves at first. Peculiar structure, usually without leaves at first.